Assisted by skilled professionals, we are engaged in offering high quality Oxidised Starch to our valuable clients. Processed under the stern observation of experienced professionals using premium quality ingredients, this starch is used as an additive for coating and surface sizing in textile industries. Further, the provided starch is used for surface treatment of paper and board. The offered Oxidised Starch is available in diverse packaging options and at reasonable prices. OXIDISED STARCH is a White color fine free flowing powder. It is insoluble in cold water. 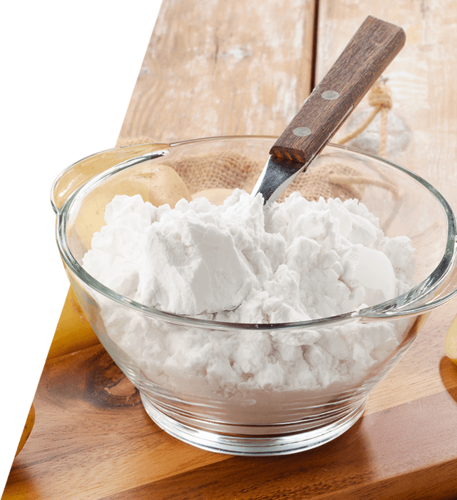 Incorporated in the year 1990, we, Venus Starch Suppliers, are counted among the prominent business entities engaged in manufacturing and supplying a comprehensive assortment of Modified Tapioca Starch, Wall Care & Construction Materials, Industrial Tapioca Starch & Starch Adhesives. The offered range is processed in strict accordance with the established norms & standards laid down by the industry. Besides, we have associated ourselves with some of the most reputed vendors of the market, from whom the genuine raw material required for processing, is obtained. Owing to the qualitative fabrication, our range is widely demanded in diverse residential, industrial, construction. Some of the finest attributes of the range offered by us are purity, non-adulteration, precise composition, efficacy and hygienic processing. We are supported by a team of dexterous professionals, which assists us in catering to the variegated requirements of the customers in an efficient and organized manner. Our professionals are selected after an stringent examination process and possess in-depth knowledge & expertise in this domain. Owing to this, these professionals make judicious use of the available resources to process a quality approved range of compounds. Moreover, we follow stringent quality checks to test the stock on varied parameters so as to maintain the purity and authenticity of the range. Additionally, we follow ethical trade practices, fair business deals and provide the customers with flexible transaction modes. Leveraging on these factors, we have been able to muster the trust and confidence of a large number of customers all across the India.